Thanks for using Reported to submit feedback about NYC taxis, Ubers, cars, trucks and buses to help make the streets safer for passengers, pedestrians and cyclists. 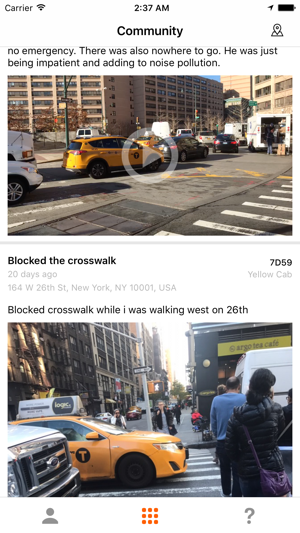 Reported lets you submit feedback about NYC taxis, cars, trucks, and buses in 30 seconds and view submissions from the community. Reported submits this feedback directly to NYC's 311 system and the NYC Taxi and Limousine Commission (if appropriate). We want to make our streets safer for pedestrians, cyclists and passengers and hold dangerous drivers accountable. If you have any questions or feedback, please email reportedapp@gmail.com or visit us online at www.reported.nyc. We simplified the ability to upload a photo or video. Now when you click "add a photo/video" you'll be taken directly to your photo album. 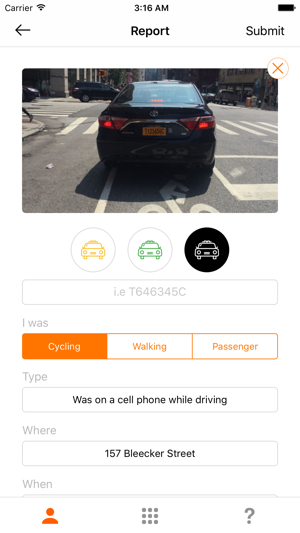 Thanks for using Reported to hold drivers in NYC accountable for dangerous behavior! As a cyclist I have my life almost ended daily by these so-called "professional" TLC drivers who operate their vehicles outside the law in a manner which shows they have no concern whatsoever for other road users. Everyone's long since given up hoping for the NYPD to police the roads, but finally we have a chance to police them ourselves. The app is designed very well and makes it easy to not only report lawless drivers but also to track the outcomes as well. The fact that taxi drivers hate this app just shows how effective it's being. They talk to each other about it on forums and message groups, and word is getting round that we're out there. After having spent a couple of months reporting every TLC bike lane blockage I come across while cycling in my neighborhood, I've started to notice a change in behavior and have less blockages to report. They are warning each other not to stop in the bike lanes because of how many fines they've gotten, and this is exactly the intended effect of the app! Now the choice for them is clear - either respect the law and stop risking lives, otherwise it's going to cost you a pretty penny. A major force in the fight against reckless driving in this city and I just hope it isn't long before we can report all other kinds of drivers too. Just a app for those who always love to complain on everything! 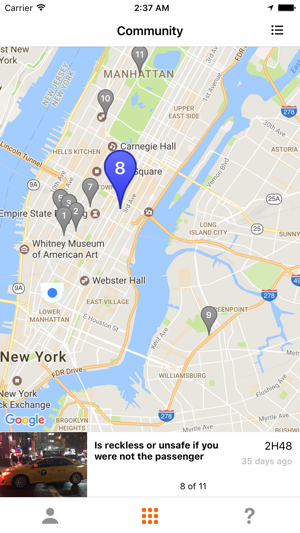 Cycle in NYC? This app is an essential! 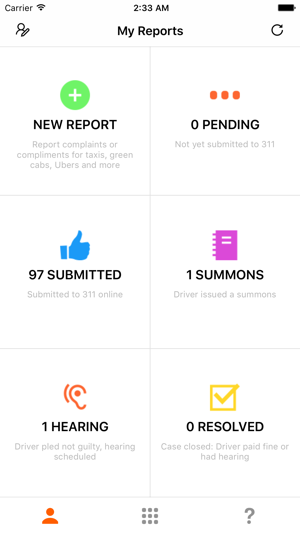 If you see illegal behavior by licensed TLC drivers—Uber, Lyft, black cars, taxis—simply take a picture open app and file a complaint with NYC 311. It takes just a few seconds. TLC will fine offended drivers. In some situations drivers will contest fine and in those situations—if you provide contact info—you will have option to testify by phone should the driver show up at a scheduled hearing. Hearings take about 10 minutes of your time. Cycling in NYC is frequently fantastic. When drivers endanger your life, and the lives of fellow cyclists it’s our responsibility to call out drivers who act without care toward us. This app makes it simple and fast to do so.